Whether you’re wearing a bathing suit, a tank top, or a backless dress, a well-built back shows the world you’ve got it where it counts. Physically and aesthetically, there’s no substitute for a strong, muscular back, which is why you should include back workouts into your regularly scheduled routine. 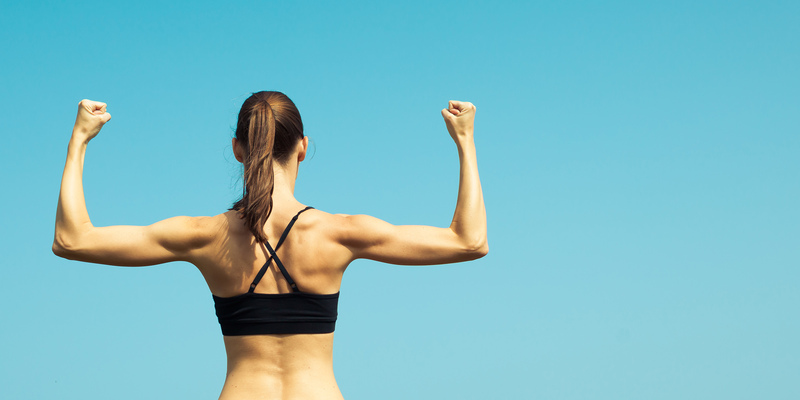 To help you get started, here are some of the best back exercises we know. But the primary focus of back workouts is usually the two largest muscle groups in your back: the trapezius and latissimus dorsi muscles. This is a kite-shaped muscle which extends from the back of your neck to your shoulder blades and down to your mid-back. Your traps are responsible for moving your shoulder blades upward (as in a shrugging movement) and inward (as in a rowing movement). When they’re well-developed, the traps keep your posture in check and give your mid-back depth and detail. Many people, guys especially, focus exclusively on the upper portion of this muscle — the bands of muscle that give gymnasts and football players that thick-necked look. 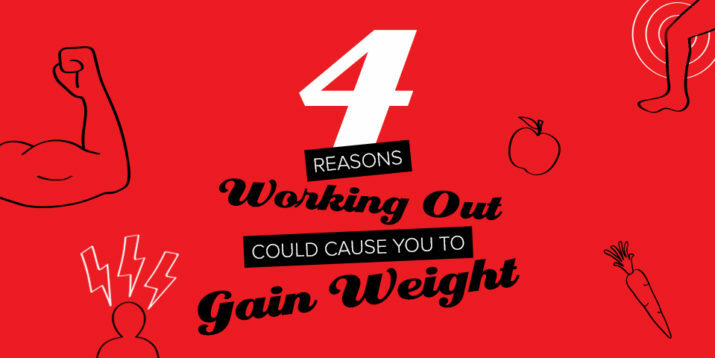 But that can be a mistake, says Openfit fitness specialist Cody Braun. “When improperly trained, the traps can round your shoulders, which causes a postural dysfunction and a higher likelihood of injury.” Solve the problem by focusing on mid- and lower-trap exercises instead, using movements that emphasize retracting the shoulder blades. Often shortened to “lats,” this fan-shaped muscle originates at your mid- and lower back and attaches to your upper arms. It pulls your arms downward and behind your body (as in a pull-up movement) and directly backward (as in a rowing movement). The lats are your primary “pulling” muscles, and when they’re developed, they give your back that unmistakeable “V” shape. Most back movements are variations on rowing (pulling your own bodyweight or an object toward your torso), or chinning (pulling your bodyweight upward and over a bar or other stationary object). That’s the case with the 11 back exercises below. Together, they’ll work all the back muscles — large and small — to ensure complete functional and athletic back development. And the best part is that you can do them all at home! All you need is some dumbbells, a resistance band, and a pull-up bar (or a door attachment). Stand holding two medium-weight dumbbells at your sides. Lift your right foot slightly off the floor. Keeping your back flat and your shoulders pulled back, hinge forward extending your right leg behind you. Let your arms hang straight down. Squeeze your shoulder blades together as you bring the weights up to the outside of your ribs while keeping your elbows close to your sides. Lower the weights back down and return to the standing position. Try not to let your right foot touch the ground. Keeping your knees close together, extend your right leg forward. Bending at your hip and knee, squat as deeply as possible on your left leg. Return to standing and repeat. Do equal reps on both sides. Stand upright, feet shoulder-width apart and knees slightly bent, holding two medium to heavy dumbbells in front of your body, palms facing forward. With your shoulder blades pulled back, hinge forward at the hips until your upper body forms about a 45-degree angle to the floor. Keeping your palms turned forward, squeeze your shoulder blades together and bend your elbows, pulling the weights up toward your rib cage. Reverse the move and repeat. Assume a push-up position with your hands just outside shoulder-width, gripping two light dumbbells. Your feet should be in line with your hands. Lift the dumbbell in your right hand off the floor, bringing your hand to the outside of your ribs while keeping your right elbow close to your side. Resist rotation of the body. Lower the right dumbbell to the floor and repeat with your left arm, alternating sides. Stand holding two medium to light dumbbells at your sides, palms facing in toward your body. Take a big step forward with your left leg, bending it to assume a deep lunge position, keeping your right leg straight. Bend forward at your hip, attempting to lay your torso on top of your left thigh. Let your arms hang straight down to the sides of your left leg. Bring the dumbbell in your right hand up to the outside of your ribs while keeping your elbow close to your side. Reverse the move and repeat with your left arm, alternating sides. Stand upright, feet shoulder-width apart and knees slightly bent, holding an EZ bar in front of your body with a wide grip, palms facing forward. Keeping your lower back in its natural arch and your shoulder blades pulled back, hinge forward at the hips until your upper body forms about a 45-degree angle to the floor, and the bar is near your knees. Squeeze your shoulder blades together and bend your elbows, pulling the bar up until it contacts your lower abdomen. Benefits: This classic move is a great to way to widen and shape your lats, creating that wide V-shape in your upper back. Lower yourself until your arms straighten, and repeat. Too tough? Use a chin-up assist band to make it easier. Benefits: After you’ve mastered the classic chin-up, try this variation to strengthen and shape your lats, while also challenging your abs and hip flexors. Take an underhand grip on a pull-up bar with about 12 inches between your hands. Pull yourself upward until your chin clears the bar, keeping your back straight and core tight, simultaneously pulling your knees up to the bar. 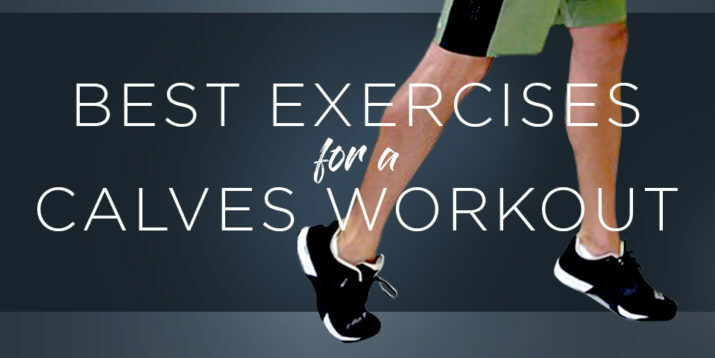 Lower your knees, straighten your arms, and repeat. Take an overhand grip on a pull-up bar. Lower yourself until your arms straighten. Keeping your left leg straight, lift your right knee as high as possible as you twist your hips to the left. Repeat with your left leg. That’s one rep.
Take an overhand on a pull-up bar. Holding the top position of the pull-up, lift your knees toward your chest as high as possible. Keeping your knees drawn up and squeezed together, contract the obliques on your right side, as if trying to touch the outside of your right hip to your right elbow. Lower your knees, straighten your arms, return to the starting position, and repeat. Stand with your feet wider than shoulder-width apart, holding a medium-weight dumbbell in your right hand at shoulder-height. Pivot to the left on the balls of your feet, bend both knees into a lunge, and punch toward your left foot on the floor with your right hand. As you return to the standing position, place your left hand on the dumbbell and forcefully drive your right elbow backward, pivoting and rotating your torso to the right. Repeat on your left side, and do equal reps on both sides. Holding a light resistance band, lie on your stomach with your arms extended overhead, chest and arms lifted off the floor, and palms facing down. This is your starting position. Keeping both arms straight, trace a half-circle with your right arm, extending it directly out to the side and down toward your right thigh. Your left arm should remain straight overhead. Reverse the move, slowly returning to the starting position. Repeat with your left arm, and do equal reps on both sides. To ensure that you get the most out of your back workouts, it’s essential to consider not just what you do in the gym but what you do outside of it as well. That includes stress management, sleep, stretching, and diet. When you’re doing challenging back workouts (or any strength workouts), you need to keep an eye on your protein and calorie intake, making sure you eat enough to help your muscles grow and repair.